The bishop asked the devils for the reason of their delight and they answered that in Rome the pope would be about to succumb to temptation in this very moment and if that was the case the devils' force will rise. The bishop was terrified and said that if he was in Rome he could save the pope's soul. According to the legend the confident devils themselves carried him to Rome to convince him that his intentions are useless. But the bishop Theodul managed to save the pope from temptation and as a sign of his gratitude the pope gave him a precious bell that the devils had to carry home for him to Wals. This is why St. Theodul's emblem is the devil with the bell. If you are interested in legends and stories from the old times, then you can learn about these pieces of cultural history during a holiday on the Montafon mountains in Vorarlberg. During a legend walk, a miner's walk, a performance of the legends on the open air stage in Silbertal or during a cosy get-together with Adolf Zudrell, who knows the stories about the Kristberg like the back of his hand. 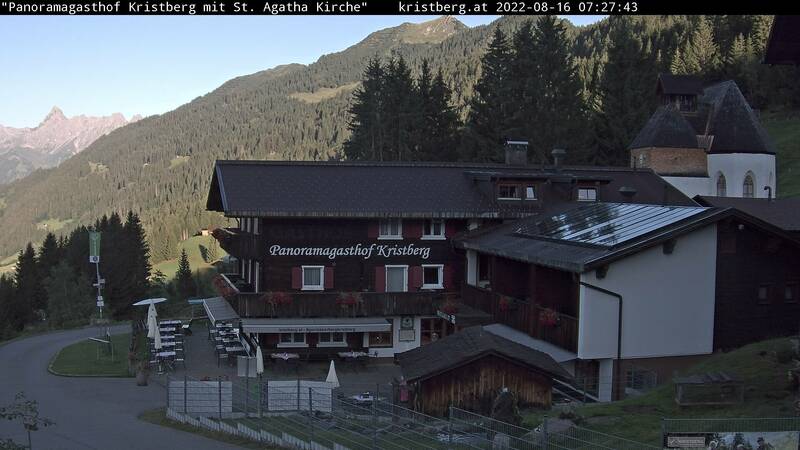 Send your no obligation holiday enquiry to the superior Kristberg Panoramagasthof, your hotel in Silbertal and look forward to an attractive holiday offer from Vorarlberg.